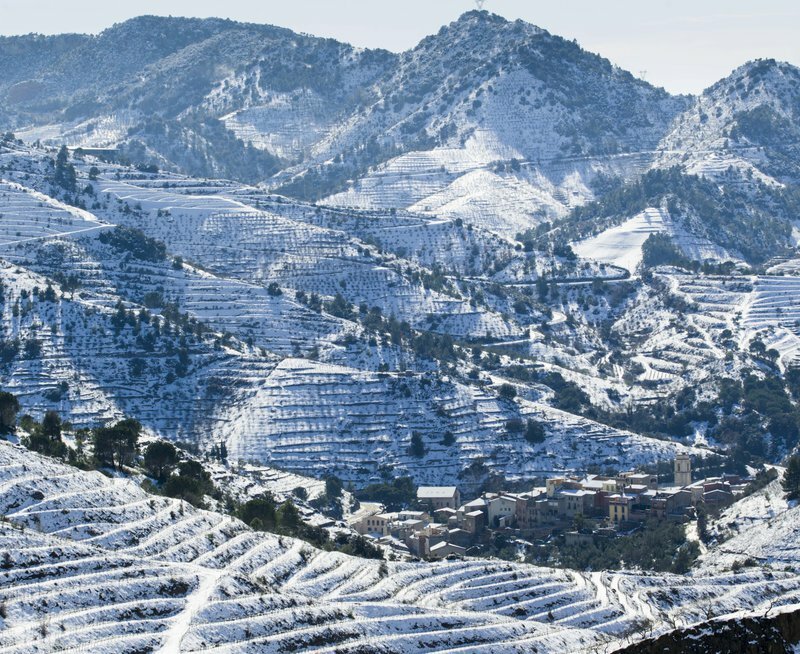 Priorat in winter. JOSÉ CARLOS LEÓN. Time will tell if I can keep on keeping on, but my weekly 2019 podcasts have begun. Whether it is just me or you share my sense that this year will be defining in a fistful of ways, I have resolved to try and record it. Under the title of “Where I Stand” my focus is on the tangible, the realities of home, a vital balance to the frequently unmanageable torrent of news. I will tell of the rhythms of our days and of this mountain valley in the Priorat, complimenting the words I offer in Catalonia Today; of seasons, storms and fruiting, and of our ceaseless endeavour to ground ourselves. I will relay as best I can a sense of the culture, the nature, and the impact of – and my opinion on - events in the wider world. As I said, it is very much an account of where I stand, how I set my feet and seek to balance all that comes to bear. My quest for reasoning, or simply recording, is rooted in the riches of nature, love, friendship and democracy, and the need to remind myself of their importance, to bear up, to be as positive as I can. And there is immediately, in direct relation to these appreciations, another, specific New Year’s resolution. I am sometimes addressed as Mr Whitman. I never object. My North American-born partner is Maggie Whitman. I could not be more proud or happy about that. Whether in the root ball of history there is any link whatsoever to Walt Whitman we may never know, but, bizarrely, there is a coincidence, a fingertip touch on my family’s side with America’s world poet who was born 200 years ago. This, along with a fascination with his epic work, Leaves of Grass, and his appreciation of – yes – nature, love, friendship and democracy, compels me in this anniversary year to solve the puzzle. Walt Whitman’s English ancestor was John Whitman, born and baptised in 1598 in the small market town of Holt in the east coast county of Norfolk. He was from a Puritan family and sailed west in the 1630s, away from the political and religious tensions of England in the pre-civil war reign of Charles I, to the New World, living in the settlement of Weymouth in what would become Norfolk County, Massachusetts. He had gone ahead and left his wife Ruth and their children, and they are believed to have joined him more than a decade later, to find he had established a farm and become a leading member of the community. My endeavour is to find out more about John Whitman’s English roots and about his father Zachariah, who may also have travelled to America. Why the intrigue? Holt is my home town, where my father grew up too, where Dad lived for most of his life and where we laid him to rest in the cemetery seven years ago. My quest is to find out if any of the Whitman’s lie there, to discover the detail of the Whitman connection to Holt four hundred years ago. These are among other seeds from the corner of England where I was born, blown across the Atlantic – a deep association that also includes the family trees of Abraham Lincoln, Thomas Paine and George Vancouver. As for Leaves of Grass, I wonder how many of you have read this vast chronicle of a life, a monumental and challenging volume in which I am still knee-deep. I can only manage it is small doses with long wild walks in between. But on I go, into the pepper wind of winter, resolutely facing the year with optimism, the only way. Nature, love, friendship and democracy.